Have you ever seen a beautiful of car seats that looked great when you got the vehicle but wore out and looked awful almost as soon as you started using them? Upholstery fabric lasts longer and wears better if it is the right strength and has the best properties – durability and stain resistance – for the use it will receive. The quality of your upholstery’s fabric plays a huge role in how comfortable people are going to be when seated in a car. Fabric quality is also often overlooked when buying a car or getting seats redone simply because appearance is the first consideration. 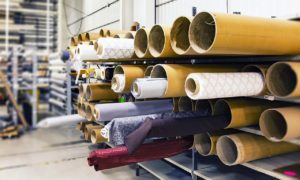 Not everyone stops to ask if the fabric and construction will withstand the type of use it will receive – but everyone should – and here’s why… Upholstery that is covered with substandard fabric leads to dissatisfaction. Why Is Reupholstery a Good Option? It’s hard to estimate how many people have bought a car with attractive seat covers only to find out the seats are uncomfortable, stain easily, or seem to be falling apart quickly. Many people simply replace the uncomfortable car while others tolerate the inferior upholstery until it finally falls apart. A car interior that is gently used has cleaning and stain resistance requirements that are different than the cleaning requirements of a heavily used vehicle. All upholstery fabric should ideally be treated with some level of stain resistance though it is possible to save a little bit of money by getting a cheaper, untreated upholstery fabric if the item will be gently used. Even if the car interior is carefully used – accidents happen – and it is easier to avoid problems by starting with a stain resistant fabric. Stain resistant fabrics still get dirty sometimes no matter how careful the owners are, so choosing an upholstery fabric that is easy to clean is a good idea. Microfiber fabric, if not careful to follow directions, is difficult to clean without spotting. According to cleanyourmicrofiber.com, microfiber should be labeled with either an S, a W, or an SW cleaning code. S represents solvent cleaners and W represents water based cleaners. Using the wrong cleaner on any fabric will cause spots and discoloration. Most upholstery fabrics can be cleaned with laundry detergent but check the label first. A simple repair can add years to the time before it is necessary to replace auto upholstery, or to replace your car entirely. Restyled seat covers also make the interior last as long as the rest of the car. Finding a reputable upholstery shop is the easiest way to get an interior reupholstered. A professional upholsterer will make recommendations about how each type of fabric will wear and how hard cleaning will be. It is a good idea to get an estimate up front, but it is normally cheaper than replacing. If making the reupholstery project a do-it-yourself project is a possibility then the fabric store assistants should be able to help with fabric selection and quantity information about purchasing fabric by the yard, or you can order an OEM interior kit. Part of the reason Classic Cars Online US exists is to help connect classic car buyers and sellers, and we’ve added several ways for you to connect – pick your favorite, or join us in all four places: (1) sign up on the Classifieds page here on the site, (2) visit and like this site’s Facebook page, (3) the Best Classic Cars for Sale page or (4) join the Classic Cars Online: Classic Cars for Sale group if you are looking to buy or sell classic cars.